Compiled by The Market Institute. The oft-mentioned CBO report that outlined how Obamacare would reduce nationwide employment by 2.5 million people also contained information that suggests the ACA will result in a 1% drop in worker wages, or $70 billion dollars (Washington Post). A Washington Times editorial explains how the risk corridors found in Obamacare are not constitutional. 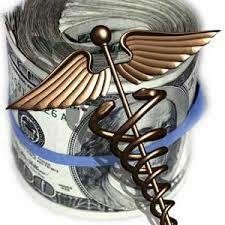 The insurance companies’ bailout would have to be appropriated by Congress (Washington Times). The Affordable Care Act will have a continued, rippling effect on the economy, costing the economy jobs and even more troubling, creating a disincentive for people to work (Politico). Major corporations, sports teams, and tax preparers are educating their customers on the Affordable Care Act. Paid advertisements are being funded by state marketplaces (Los Angeles Times). The White House committed a serious blunder by betting on E-Commerce and the idea that Healthcare.gov would be successful (TownHall). Democrats are floating the idea that the loss of 2.5 million equivalent jobs because of the ACA is a good thing, but that premise is ridiculous as millions of Americans are currently looking for jobs that will no longer exist (Boston Herald).